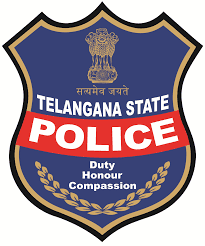 Telangana State Level Police Recruitment Board (TSLPRB) recently issued a recruitment notification to fill up 9281 Constable Posts in Civil, Armed Reserve, SRPF, TSSP, SPF and Firemen constables. Candidates who are preparing for TS PC jobs they must and should check Model papers, Solved Question Papers, Old Papers for better performance in the Preliminary and Final written tests. Police Constable Syllabus has changed in Telangana state, constables will be selected by Preliminary, Events and Main tests. Complete Syllabus is given below. Candidates also check PC Syllabus in Telugu. Below are details of TS Constable Model Papers you can download from android mobile also. All the Best to who are preparing for TS Constable. Mental Ability, Contents pertaining to the State of Telangana. English, Arithmetic, General Science, History of India, Indian Culture, Indian National Movement, Indian Geography, Polity and Economy, Current affairs, Reasoning and Mental Ability, Personality test (the questions will be from Ethics, Sensitivity to Gender and weaker sections, social awareness, Emotional Intelligence), Contents pertaining to the State of Telangana.